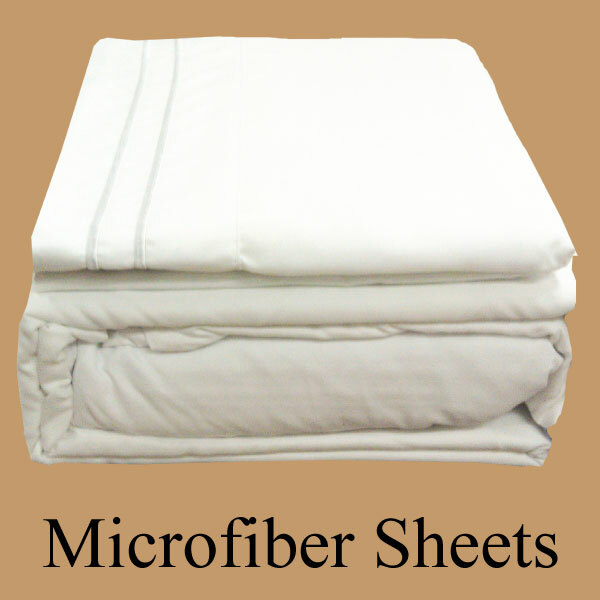 Microfiber Sheets, Full Size. These high thread count sheets feel like you paid a fortune for them. They are silk like to the touch. They are a brushed microfiber that will actually soften each time washed! Flat Sheet approximately 81" x 96"
Fitted Sheet approximately 54" x 75"
Queen/Full Duvet Cover is 90" x 90".